Meet Akosua, a thirty-eight year old woman from Timeabu, a village of about 500 people in the Ashanti region of Ghana. Akosua is a mother of six: three girls and three boys. She and her husband share the house with two other wives and six children. Though Akosua is hardworking, she comes from a poor background. She grew up in tough times, as her family worked hard to provide for her. They passed on the trait of ambition, as Akosua has worked diligently to provide more income for her children as they grow up. Her success story began two years ago, when Akosua joined Self-Help’s micro-credit program in Ghana. However, before she joined the micro-credit program, her story was different. She worked with her husband on their farm. They had cocoa intercropped with food crops like cocoyam, cassava and plantain to provide a variety of sustenance to the family. Apart from farming, she had no other income source and therefore relied on her husband for her basic needs. “I was very unhappy as I virtually had to beg for money all the time from my husband,” she said. In 2014, she was introduced to the Self-Help micro-credit program by some of the women who had benefited from the program in her village. Akosua already knew how to make soap, but could not properly put her skills to practice because she lacked the funding. In the past she had borrowed from family members and friends at unfavorable conditions with high interest rates and irregular repayment schedules. There were times she had to halt production completely due to inadequate funding for the supplies. That’s when an opportunity fell into Akosua’s hands, finally giving her some ease. Through the Self-Help micro-credit program, she was able to access a loan of GHC 100 (then about $50 USD) at a market-based interest rate, much lower than what she had previously been able to access. She used her first loan to purchase the supplies to re-start her soap-making business. She paid her loan back on time each month, and was able to access greater levels of loans. Whereas before, she had to buy her soap-making materials from other vendors on credit at higher prices, now she is able to use her loan to buy the materials outright at better prices. Akosua’s soap business has created an additional source of income for her, and enabled her to feel much more independent. Currently, she produces and markets soaps in and outside her community. Creatively, she has added attractive colors to add more value to her soap. On festive occasions, she wraps her soaps beautifully in colorful wrappers and people buy them as presents for their loved ones. Akosua’s life story after her encounter with SHI micro-credit program has been different. She no longer begs her husband for money and can contributes financially towards her children’s upbringing. In early 2016, she decided to diversify her business by adding on processing and marketing of animal hide. 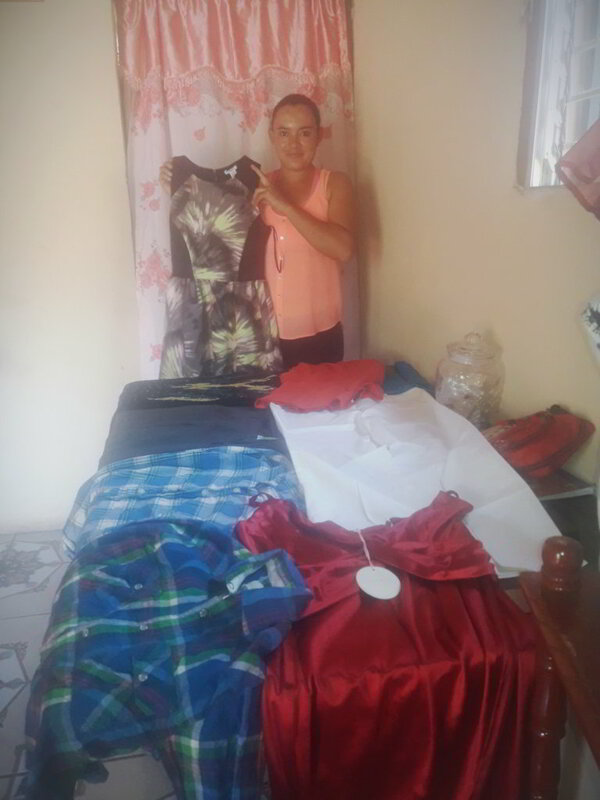 The micro-credit team linked her to appropriate vendors with moderate prices in the Kumasi area, to be able to buy and sell the hides at competitive prices in her village. 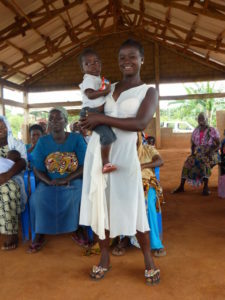 Akosua now generates additional income to support her family. 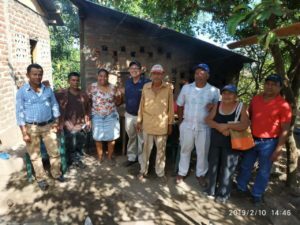 The micro-credit program has impacted her life greatly: she’s able to support her husband by helping take care of their children’s educational needs. Even though their first child could not go to school due to past economic hardship, her daughter is now an apprentice hairdresser and will soon be an independent stylist. The rest of the children are currently enrolled in school and it is Akosua’s dream that they become teachers, doctors and lawyers. She is grateful for your support, which has transformed her life and the lives of many of her friends and fellow community members in Timeabu and across Ghana.